Announcement: I’ve drawn my line in the sand. I’m on one side, and technology is on the other. For the record, I have an iPhone 6, a Samsung Galaxy tablet and a MacBook Air laptop computer. I send text messages and “chat” with tech support to shoot all kinds of troubles. After years of resistance, the Colemans now have cable television. So nobody can say that I’m sour on gadgets or progress. What tastes foul, though, is technology designed to boss me around. One exception is the navigational feature (“GPS”—Global Positioning System) on my iPhone. A woman’s cheerful voice tells me where and when to turn, thus keeping my eyes on the road and not on scribbled directions. She repeats herself incessantly, but wins points for not being as snarky with me as I am with her. 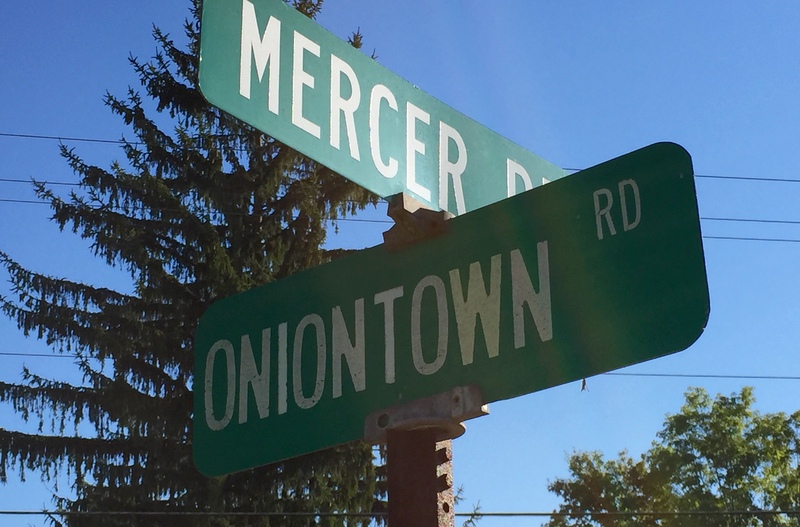 Driving around Oniontown the other day, I heard on the radio about Google’s plans to extend the GPS from my car all the way to my living room. My inner curmudgeon grimaced. Welcome to “ambient computing” and the surprisingly affordable “Google Home” computer. This “personal assistant” can recognize all voices in your household and do each individual’s bidding. “Call Joe,” you can say, and your buddy Joe will answer—as opposed to your sister’s boyfriend of the same name. Google Home has no keyboard and resembles an egg. At 5.62” tall, it’s almost cute. Granted, my message is beige compared to Google Home’s. It can warn you that your flight is late. It can define mysterious terms like “covfefe.” It can bark out the Browns versus Steelers score. But what could possibly be wrong with getting instant answers? Who would object to eliminating inconvenience? Why not let technology “tell me what I need before I even ask”? I guess there’s no harm in confirming right away that Cleveland is careening toward another loss, but inconvenience is a great teacher. Human experience would be impoverished without it. The other day, for example, unbeknownst to my iPhone, Kidds Mill Road was closed. When I took Methodist Road instead, my navigational lady went berserk. To save my sanity and hers, I pulled the plug. In the end her ignorance proved my blessing. I passed the Jughandle and made a mental note to stop soon for pizza and a beer. Further down Route 18 stood a family of three silver silos. Daddy was a massive wonder of the farming world, dizzying to behold. As usual, amazement appeared on a detour. And the inconvenient detour’s fraternal twin, chance, is generous beyond measure. Most of what shines in my life has come to pass not by design, but luck. Kathy and I are married due to an impulsive high school classmate’s matchmaking improvisation. Thanks, Denise! Thanks, God! No, Google Home isn’t for me, nor is Google Lens, available soon. Just point my Samsung Galaxy at flowers and Google Lens will speak their names. Or point it at a restaurant and get reviews. Software already exists that will translate spoken German into English, thereby saving me the trouble of digging out my college flash cards and exercising my brain. These marvels aren’t all bad, but as a collection they make me uneasy. If we don’t learn to wait for answers, smile through detours and make up our own minds, where will patience, endurance and wisdom come from in matters of life and death? Most important, can ambient computing “tell us what we need before we even ask”? Please. What I need makes so little sense that I trust one voice above all others to guide me, and it doesn’t come from an egg. Amen, John. I thought I was the only one who watched commercials for these devices and just cringed. Besides, my wife tells me what I need before I ask about a hundred times-a-day. I am no Luddite, John, but some peace and quiet and privacy and old-fashioned disconnection from the increasing “connectivity” is welcome. You do help in keeping my neurons functioning. Thanks. P.S. iPhone SE, MacBook Air, old iMac. is turn off the sound. have to use it much.